The Little Rock UPS employee was waking up at midnight to make it to his 4 a.m.
Every day for the past seven months, UPS worker Trenton Lewis has been waking up at midnight to make it to his 4 a.m. shift loading trucks in Little Rock, Arkansas. 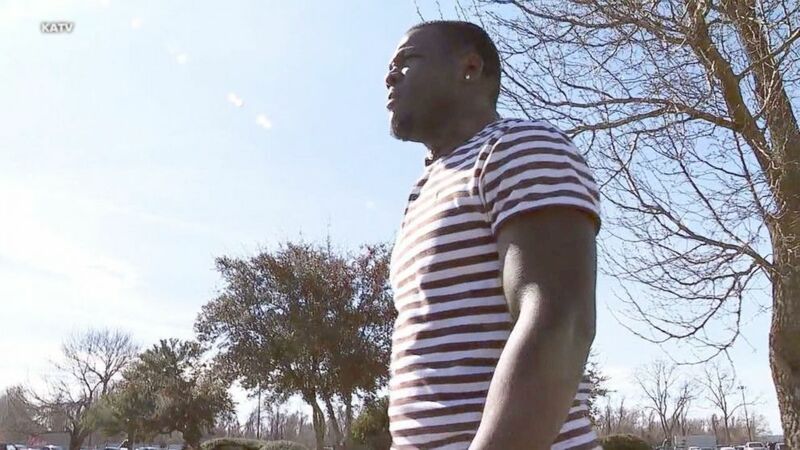 Lewis, 21, didn't have a car, so he walked to work -- for five miles -- no matter the weather. The new father said he was doing it for his baby daughter. "[My job] got more important to me when I had my daughter," Lewis told ABC affiliate KATV in Little Rock. "I knew I had to step up. I didn't have a job when she was born." 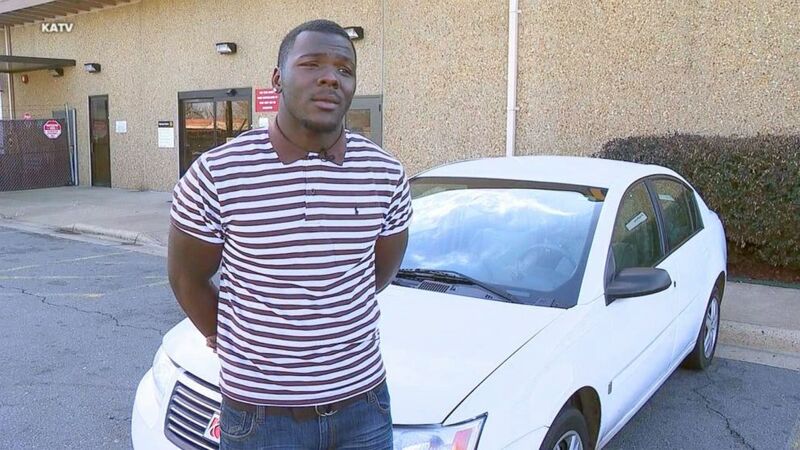 (KATV) Every day for the past seven months, UPS worker Trenton Lewis has been walking to work, so his co-workers came together and surprised him with a car. The proud dad has never missed a shift in the seven months and was never late to work, according to KATV. When his UPS co-workers Patricia and Kenneth Bryant found out about Lewis' long walk every day, they came up with a plan to help. The Bryants collected donations from other co-workers and bought him a Saturn, which cost just shy of $2,000. When they surprised him with the keys in the UPS facility parking lot, last week, Lewis said he had no idea about their plan to buy him a car. He said his first reaction was, "Those keys cannot be mine." "He brought them to me and my heart just dropped," Lewis said. "This can't be real." Trenton now leaves for work at 3:30am, he said, allowing him sleep in and give his legs a break.